There has been enormous media interest in the journey of Dwayne and his family. Below we have links to various press articles and videos. 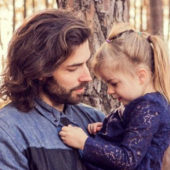 In what may be the most life-affirming instance yet of a YouTube viewer harnessing the platform for a DIY project, a New Zealand father named Dwayne Collins taught himself how to make a prosthetic eye for his daughter, who suffers from a rare developmental disorder. 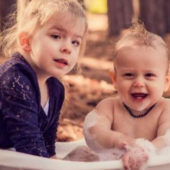 When Liberty Collins was lying on the change table as a newborn, her father looked into her eyes and noticed they were wide open, even as the sun shone directly into them. 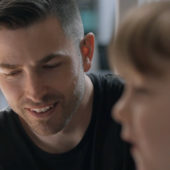 “That’s when I knew something was wrong,” he told news.com.au. Google Feature: Watch how a father used YouTube to make his daughter a better prosthetic eye. When Dwayne Collins’ daughter Liberty was born with a rare eye condition, they struggled to find a prosthetic eye that didn’t cause her pain. So Dwayne took matters into his own hands. A Google Special Feature. 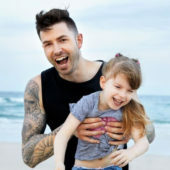 A loving Gold Coast father was so determined to help his partially blind daughter that he taught himself how to make prosthetic eyes for her to wear. 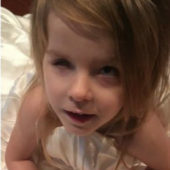 Liberty, three, was born with two rare eye conditions – microphthalmia and chorioretinal colobomas – which have left her completely blind in her right eye, and with an abnormally small eyeball. When Dwayne Collins left an artificial eye maker’s office with his vision-impaired daughter once again in tears he thought “there had to be a better way”.Three-year-old Liberty, who was born with a rare condition that left her with malformed eyes, had just tested another unsuitable prosthetic eye. A loving Kiwi father was so determined to help his partially blind daughter that he taught himself how to make prosthetic eyes for her to wear. 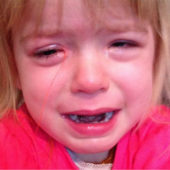 Liberty, 3, was born with two rare eye conditions – microphthalmia and chorioretinal colobomas – which have left her completely blind in her right eye, and with an abnormally small eyeball.